Asia’s Got Talent is going on to their third season looking for more intriguing talents that make heads turn. 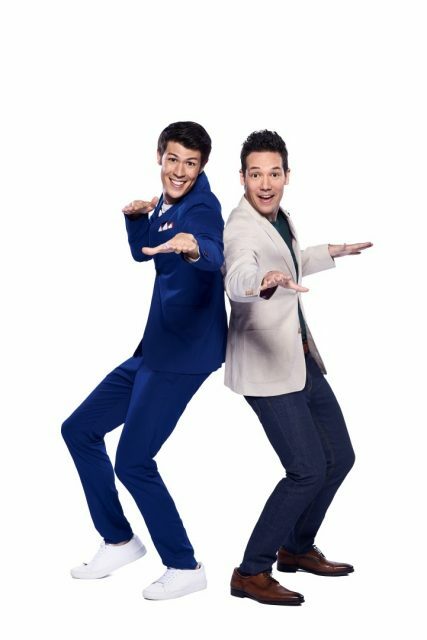 With the Asia’s Got Talent’s Open Auditions currently taking place all across Asia, The UrbanWire caught up with the two charismatic and lively hosts of the show, Alan Wong, 32 and Justin Bratton, 37, on their expectations of the upcoming season. Alan Wong (Left) and Justin (Right) hosts Asia’s Got Talent for the second time. UrbanWire: How does it feel like to be back on Asia’s Got Talent as hosts? Alan Wong: It feels good! It feels like it’s been a long time although It has only been less than a year. So much happened the second season that we (hosted). We have been waiting and waiting and finally we get to do it. Justin Bratton: We get to see all the acts again. And the judges obviously! UrbanWire: What are your expectations for this new season? Justin Bratton: Expectations are high, towards the quality of the show itself and quality level of talent. UrbanWire: After seeing all the talents across Asia so far, is there a talent that you really want to try out or have been trying out? Alan Wong: Justin is a juggler. He can juggle. Justin Bratton: Well, I can juggle like 3 things. Alan Wong: That’s more than I can juggle. UrbanWire: Is there any talent you wanted to see last year but didn’t get to as much? Justin Bratton: I would like to see more competitive eating. Let’s see how much food you can eat. Alan Wong: For me, I want to see more fire-breathing. We saw a very specific lack of fire-breathing last season. Justin Bratton: I could go for some more fire-breathing. Alan Wong: Dragons is what we are talking about. [laughs] If we could get a dragon on the show, my dreams will be complete. UrbanWire: You guys have a strong on and off-screen chemistry. But what was your first impression of each other? Alan Wong: We met at an event. I had some colleagues whom Justin also knew and they introduced me to him. When I first met him, he was very energetic. Justin Bratton: Just trying to match you, Alan. Alan Wong: That’s the thing, I’m also energetic. So, I was like ‘who is this other energetic American’. It turned out he was actually very cool and we became really good friends after that. Before, ending the interview, Alan addressed Justin’s inflatable T- rex costume which he wore for parts of the open auditions in Singapore. 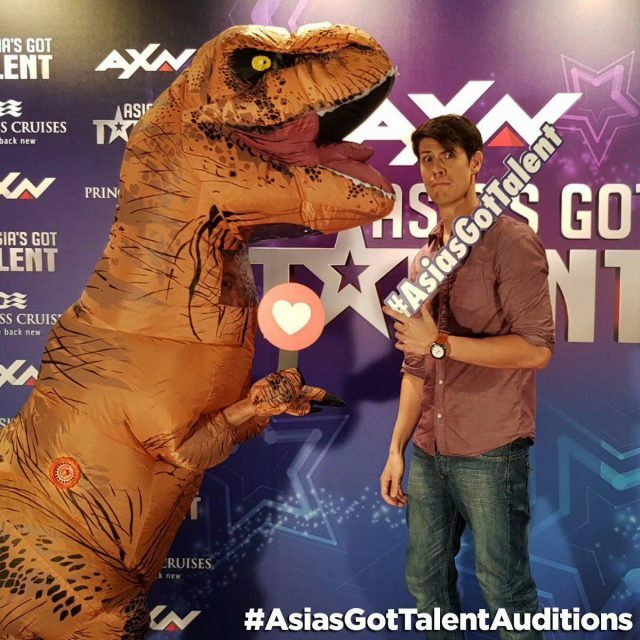 Justin Bratton (in T-rex costume) and Alan Wong at the Asia’s Got Talent Open auditions in Singapore on 23 June 2018. Though the open auditions have ended in Singapore, those interested are still able to apply online. Online auditions are still ongoing at www.AXN-Asia.com/AsiasGotTalent until 9 July 2018.